Testing the reliability of an application usually requires a good usage model that accurately captures the likely sequences of inputs that the application will receive from the environment. The models being used in the literature are mostly based on Markov chains. They are used to generate test cases that are statistically close to what the application is expected to receive when in production. In this paper, we study the specific case of web applications. We present a model that is created directly from the log file of the application. This model is also based on Markov chains and has two components: one component, based on a modified tree, captures the most frequent behavior, while the other component is another Markov chain that captures infrequent behaviors. The result is a statistically correct model that exhibits clearly what most users do on the site. 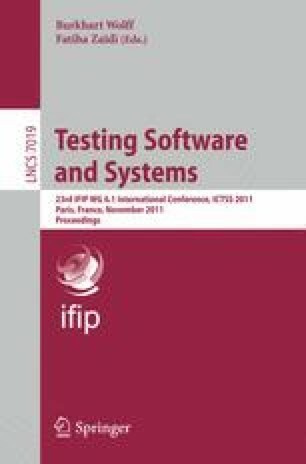 We present an experimental study on the log of a real web site and discuss strength and weakness of the model for reliability testing.